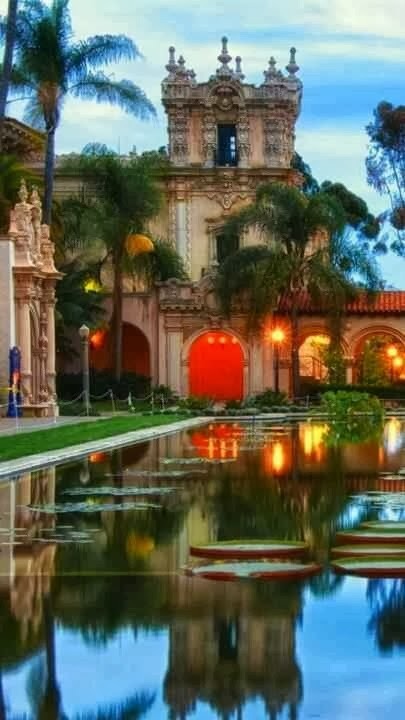 Balboa Park is a 1,200-acre (490 ha) urban cultural park in San Diego, California. In addition to open space areas, natural vegetation zones, green belts, gardens and walking paths, it contains museums, several theaters, and the world-famous San Diego Zoo. There are also many recreational facilities and several gift shops and restaurants within the boundaries of the park. Placed in reserve in 1835, the park's site is one of the oldest in the United States dedicated to public recreational use. Today, Balboa Park is managed and maintained by the stewardship of the Parks and Recreation Department of the City of San Diego.